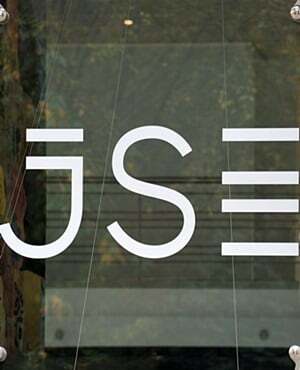 The JSE advanced on Monday on the back of broad-based gains across most equity markets which were inspired by positive Chinese economic data. China released its Caixin Manufacturing PMI data on Monday morning which came in better than expected at a reading of 50.8, which was better than the forecasted 50.1. This was the catalyst that investors needed to seek riskier assets as stocks from Asia to Europe advanced on the day. In Japan, the Nikkei closed 1.43% higher, while in mainland China the Shanghai Composite Index rallied 2.62% and the Hang Seng closed 1.76%. The risk-on momentum did not bode well for the US dollar which retreated on the day against a basket of major currencies. This, as well as Moody’s postponement of South Africa’s sovereign rating saw the rand surge against the greenback to a session high of R14.15/$. At 17.00 CAT, the rand was up 2.37% to trade at R14.15/$. The rand even shrugged off the weaker number recorded for the ABSA Manufacturing PMI in March, which came in weaker at 45.0 compared to a prior recording of 46.2. On the JSE, financials recorded the biggest gains of the day as they were buoyed by the firmer rand. Sanlam [JSE:SLM] rallied 4.07% to close at R76.76, while Coronation Fund Managers [JSE:CML] gained 7.25% to close at R49.27. Banker, ABSA Group [JSE:ABG] added 4.54% to close at R159.00, Standard Bank [JSE:SBK] gained 4.48% to R193.53, and Capitec Bank [JSE:CPI] closed 2.52% firmer at R1384.00. EOH Holdings [JSE:EOH] found a reprieve as it gained 6.73% to close at R11.10, while Barloworld [JSE:BAW] advanced 4.63% to end the day at R132.88. Retailer, Truworths [JSE:TRU] gained 3.5% to close at R71.82, while its sector peer Shoprite Holdings [JSE:SHP] managed to gain 3.82% to close at R164.67. The bulk of JSE listed miners traded mostly softer mainly on the back of metal commodity prices which traded mostly flat or weaker. Impala Platinum [JSE:IMP] fell 4.08% to close at R58.51, Harmony Gold dropped 5.14% to close at R25.65, and AngloGold Ashanti [JSE:ANG] lost 3.8% to close at R184.31. Rand hedge, British American Tobacco [JSE:BTI] slumped 2.59% to close at R582.39, while Fortress REIT [JSE:FFB] weakened by 2.04% to close at R10.56. The JSE Top-40 index eventually closed 1.37% firmer while the JSE All-Share index gained 1.27%. All the major indices managed to record gains on the day. Industrials gained 1.03%, Resources added 0.66%, while the Financials index rallied 2.73%. Brent crude extended its run as investors remain bullish due to better than expected Chinese economic data. Brent crude was trading 1.24% firmer at $68.42/barrel just after the JSE close. At 17.00 CAT, Gold was down 0.05% firmer at $1291.68/Oz, Platinum was 0.74% at $855.71/Oz, and Palladium had rallied 1.59% to trade at $1407.20/Oz.